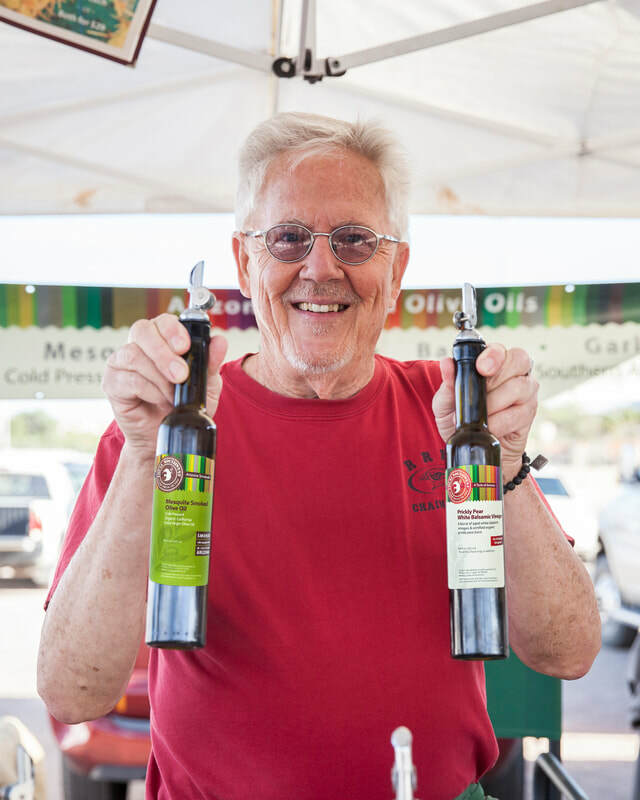 Local Southwest is owned and operated by local resident Richard 'Rich' Roth, a retired Arizona high school teacher. His career includes 15 years of restaurant service & catering in Aspen, Colorado. There he also hosted 'The Aspen Wine & Food Show' on Ch. 12 TV. Rich interviewed celebrity chefs such as Julia Child, Jacques Pepin and Wolfgang Puck; along with notables of the wine world- Mondavi families, Fess Parker and wine critic Robert Parker. Affirming his belief to reach out globally, Rich served over 40 months as a United States Peace Corps volunteer in Sierra Leone and Mozambique. Rich also wears the hat of an experienced yoga teacher and currently holds class by Yoga Saguaro. These rich and diverse careers demonstrate a commitment to fine food and service. Rich's way of ensuring that you serve only the best at your table. When making olive oil, many companies use heat to extract the oil from the fruit. This produces a higher volume of oil, however it also destroys the delicate flavor of the oil as well as many of its antioxidants.